On Tuesday we had over 50 women in strata (and some brave male supporters!) join us at The Winery in Surry Hills for our Learning Lunch. 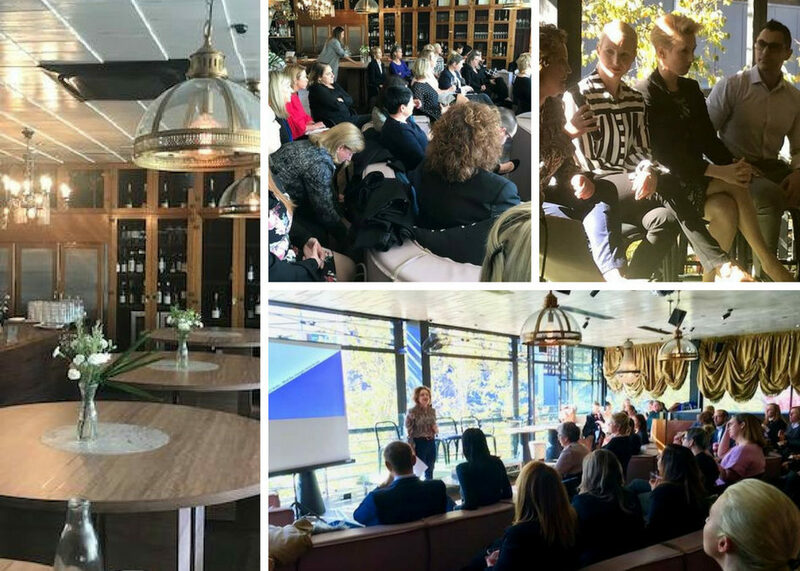 As we sipped on fabulous cocktails, Sasha Boe of Real Estate Training Solutions took us through the proposed reforms to the Property Stock and Business Agents Act, which are aimed at improving the qualifications and professionalism of sales agents, property managers and strata managers. My key takeaway from Sasha’s informative presentation was this: if you can roll your qualification over into the new regime, roll it. Don’t miss the opportunity to upgrade your qualification from a license holder to licensee-in-charge by taking a few simple steps at the commencement of the reforms. As we continue to await the finalisation of this legislation, be sure to keep yourself up to date and informed. Sometimes we need to hear things a few times in a few different ways for it to really sink in (remember how many seminars you went to about the new Strata Schemes Management Act? Yep, me too). Remember to grab a copy of Sasha’s flowchart summarising the need-to-know essentials from the link here. A huge thank you to Natalie Fitzgerald and the Women in Strata steering committee who do the hard work to ensure these events are a success. Special thanks to Dino Biordi of Luna Building Management, our generous sponsor for the afternoon, and our expert presenter Sasha Boe of Real Estate Training Solutions. You’ll find some photos from the day over on our Facebook page.